A limited edition of Megadimension Neptuina VIIR has been revealed. It will be available for pre-order in North America on April 13, pre-orders for Europe will be going up at a later date. 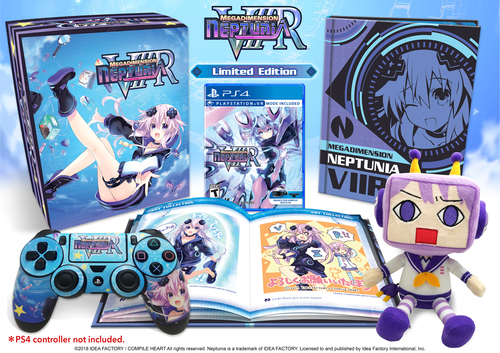 This edition of the game will come with a Nepgeardam plushie, an artbook, a controller skin, reversible sleeve, and a collector’s box. Megadimension Neptunia VIIR will be coming to the PlayStation 4 on May 8 in North America and May 11 in Europe. You can check out what we thought about the original game here.